Hey guys, happy Monday! 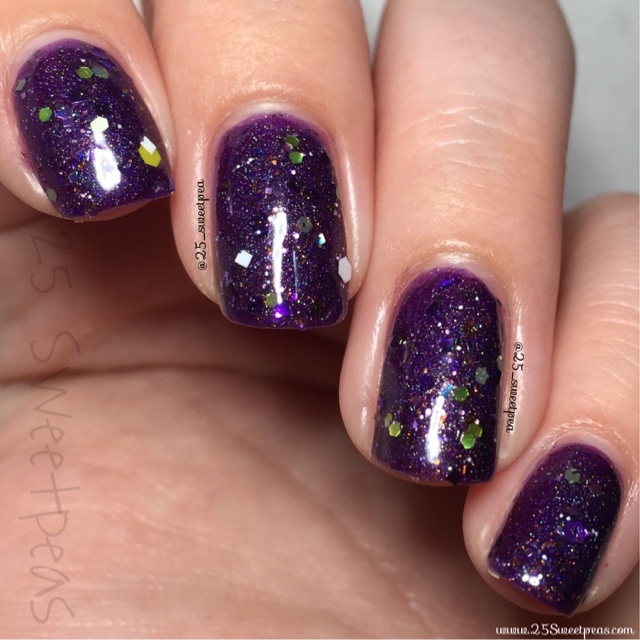 So today I am starting to share swatches of new polishes that Pretty Beautiful polish will be releasing on April 1st at 1pm CST. First up today I am showing you the Daddys Sweet Pea collection which she made for her daughters birthday. :) So let's get to the pictures! 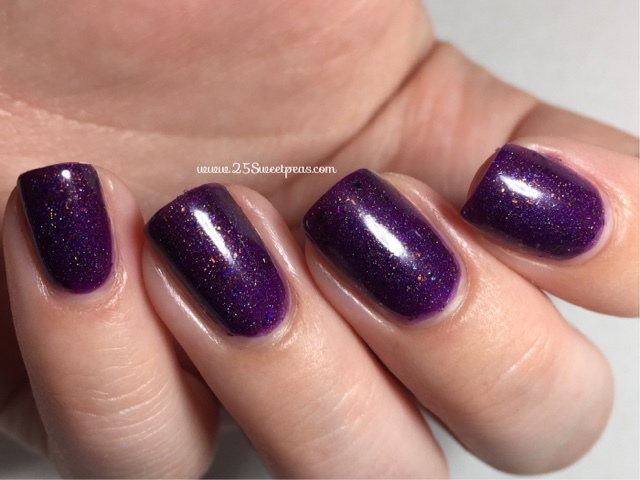 Here are some macro shots so y'all can see the polish more in depth. 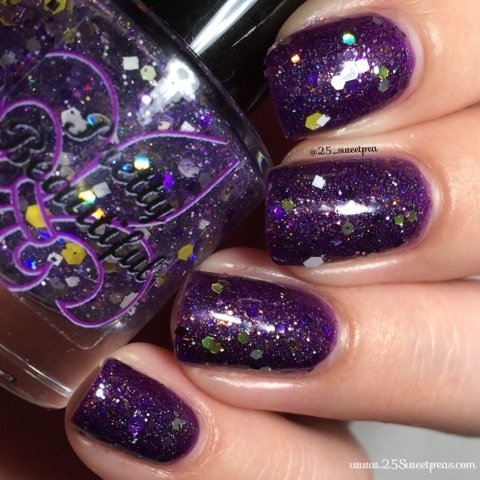 It's really lovely and has a nice mixture of glitters and holo to make it super fun to wear. 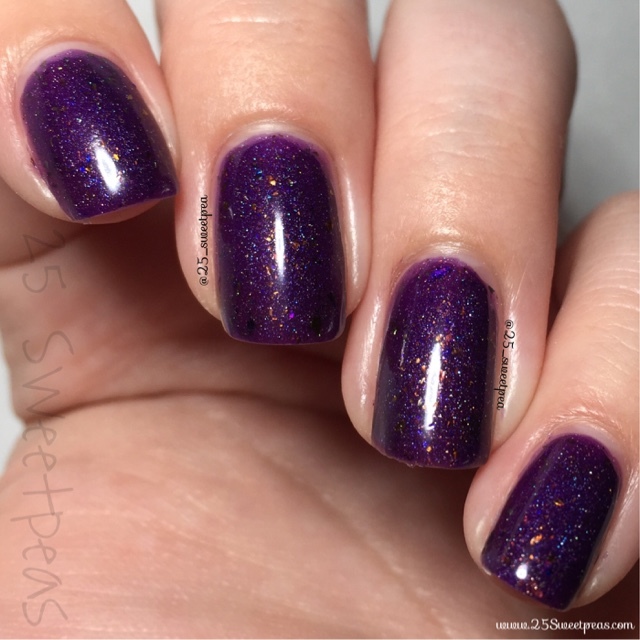 Sweet Pea -Slightly tinted purple and holo base with various sizes of purple, lavender, yellow, and gold glitters. Next up I topped it with one coat of Sweet Pea which is a fun glitter Topper. Since it is a topper it would take many coats to get it fully opaque so if you were wanting to wear it alone I would suggest sponging it on. That's how you will be get best coverage. Here we have macro shots of it, and you can really see more of the individual glitters and it's just a super fun topper. I think next time I wear it I will put a cream base used and sponge it on. Overall I like these both a lot! They are fun and unique. The formulas were nice and easy to work with. These two will be up for sale on the Pretty Beautiful site on April 1st at 1pm CST and you can keep up with them at all of the links below!